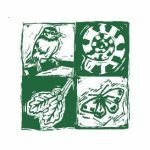 The Buckinghamshire & Milton Keynes Environmental Records Centre (BMERC) collects information about the area’s biodiversity and geology. In addition to holding and maintaining details of designated sites, priority BAP habitats and wildlife records, BMERC offers a number of services to professional consultants, recorders, and the general public. BMERC would love to encourage more people to record wildlife and share it with others. News and events are also available on the website. Please visit the website for more information.